I have to say, initially, that I much prefer the 2002 remaster to the 2010 one, which I found far too weak and trebly for my taste. I like a full, warm, bassy sound and the 2002 remaster certainly delivers that. Klaus Voorman played bass on this album and I want to hear him. Thankfully on this version, I can, loud and clear. The title track is what is is - iconic. It needs no further comment. “Crippled Inside” is an enjoyable slice of lively, country-ish rock. It has received a fair few criticisms over the years, but I have always quite liked it. 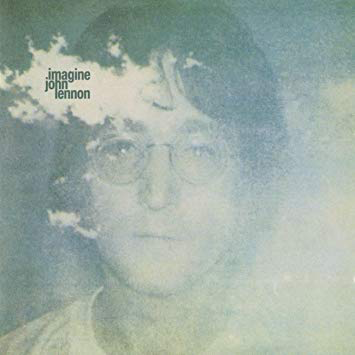 It is catchy and lightweight but still carries enough of Lennon’s cynicism to fit in with the album’s overall mood. “Jealous Guy” is another one known to everyone, Lennon’s original version being far more stark than Roxy Music’s big, full-sounding eighties cover of it. “It’s so Hard” is a pulsating, bluesy-based number. Personally, I feel it would work better without the lush string orchestration at the end. It is a good one, though, full of energy and enthusiasm. Cynically convincing too, is the bassy grind of the anti-war “I Don’t Want To Be A Soldier Mama”. I love the bass, saxophone and guitar improvisation parts near the end. “Gimme Some Truth” continues the political comment with some killer guitar and a thumping rhythm. 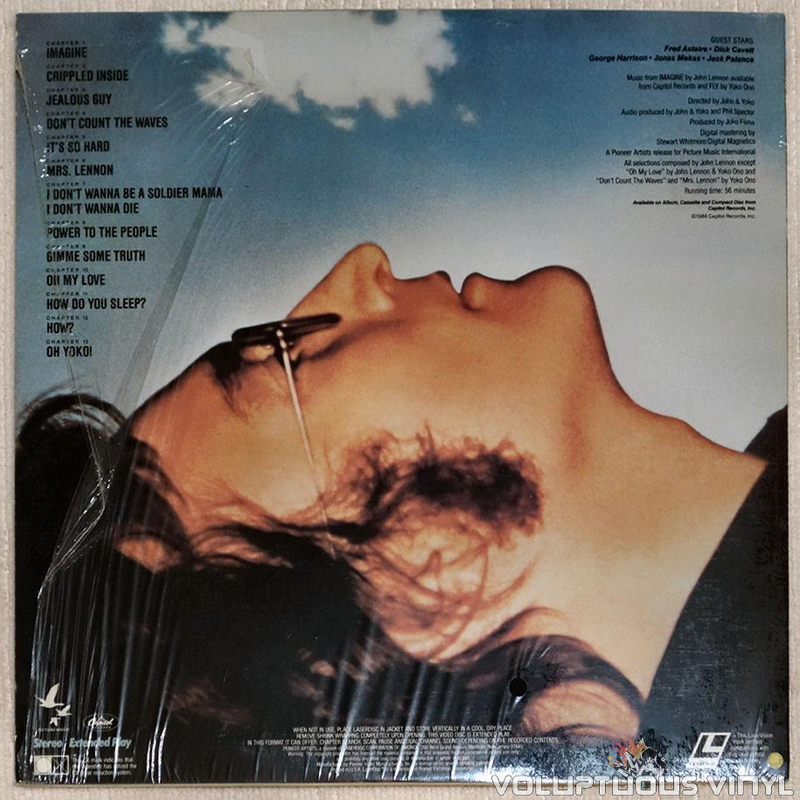 “Oh My Love” sees a switch to a plaintive, tenderly romantic song dedicated to the fulfilment Lennon was experiencing with Yoko Ono in his life. Just when he was getting a bit loved-up, however, the old spiky Lennon returns with the embittered “How Do You Sleep?” - his notoriously venomous attack on Paul McCartney. He obviously had a lot of pent-up anger, but this all seemed a bit over-the-top to me. Naming some of McCartney’s songs as examples of his faults was just a cheap shot. Musically, the song has a deep, muscular sound, some great guitar interjections and again, some string orchestration I feel it could have survived without. Regarding how he slept, I am sure McCartney slept the sleep of the somewhat bemused. “How” shows Lennon at his most vulnerable again, questioning himself and his feelings. Despite his apparent romantic bliss, he always seemed to be battling with various issues. Snap yourself out of it, John. He did just that with the jaunty “Oh Yoko”. This is another one that has attracted opprobrium. Again, I have always quite liked it its melodic piano coda and touchingly sweet feel. Overall, the album is a perplexing one. It has several mood swings within its songs. Like Lennon himself. Enigmatic. I was interested to hear the new remix of this album. Personally, I have always preferred the 2002 remasters to the 2010 ones, finding the latter far too trebly for my taste. I find the 2002s more punchy and bassy, which is what I like. I realise that I am in a minority here but anyway, I was curious as to whether there is any discernible change to this new remix. Obviously it is strange hearing familiar music remixed with slight sonic alterations, but I enjoyed it on the "Sgt. Pepper" remix and on Tony Visconti's work on some of David Bowie's albums. The title track is beautifully warm. When the bass kicks in it is subtle yet solid - full and bassy and no tinniness. “Crippled Inside” has a nice, resonant thump to it and that country guitar is razor sharp and crystal clear. So far this sounds far closer to my preferred 2002 Yoko Ono remaster than the admittedly more popular 2010 one. Because this remix seems to be strong and bassy it will probably annoy “audiophiles”, but for me, as someone who likes powerful bass, it is perfect. “Jealous Guy” has a wonderfully melodic bass line. Again it is subtle and velvety smooth here. This is a track that often suffered from a harsh, tinny sound. Not anymore. The lush string orchestration now sounds soothing and cultured. Lovely. This is the best I have ever heard the song. The fact is it is not, in effect, the original, may bother some people. Not me. I prefer it this way. It is just better. The bluesy “It’s So Hard” is pulsating and those sweeping strings are once again balanced perfectly, as is the saxophone. “I Don’t Want To Be A Soldier” just throbs with muscular bassy beauty. Love it. That saxophone too. Mmmm. “Gimme Some Truth” has sometimes been a bit grating when Lennon raises his voice and the music rises with him and this is far more easy on the ear here. The guitar intro to “Oh My Love” followed by the piano is sublime, as indeed it is when the understated bass arrives. The bitter “How Do You Sleep?” again has sumptuous bass, strings and that searing guitar solo sounds excellent. The big bass thump in “How?” and that vibrant orchestration has no distortion, for me. Just warmth. The jaunty “Oh Yoko” is breathtaking in its clarity, even the harmonica bit. Just listen to that speaker-shaking punch on “Power To The People”. Great stuff. Personally, this is the best I have ever heard this iconic album. I know there are probably thousands out there who will say "I prefer the original" (which, of course is still available in various remasterings), “it’s too bassy”, “it’s a sonic mess” or their usual favourite - “it hurts my ears”. Let them all talk. My opinion is just that, a single opinion, and mine is that I love it.